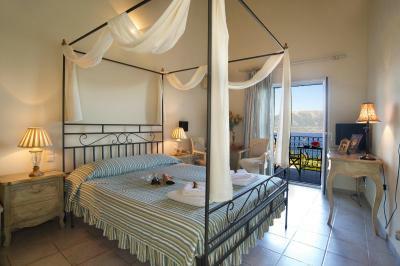 Lock in a great price for Agnantia Bed & Breakfast – rated 9.1 by recent guests! Lovely family run and yummy breakfast and great views from the 1st Floor. We stayed at Agnantia for 4 nights, could easily have stayed longer but the hotel was fully booked. The welcome was warm, the breakfasts were really delightful. 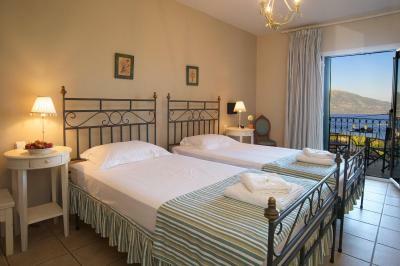 Our well equipped room had a double aspect with a wonderful view to the sea, it was very comfortable and spotless. The hotel is a good way out of Fiskardo, about 30 -40 mins walk downhill, this was not a problem as its a nice walk with lovely views along the way. In the evening we took a taxi back, they are readily available and only cost 7 euro. 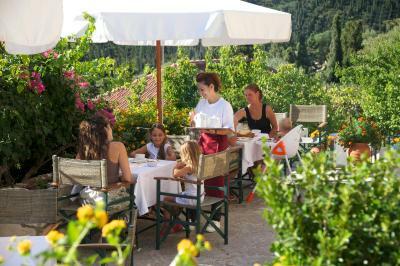 Fiskardo has many lovely restaurants and a fantastic atmosphere. Would love to return. 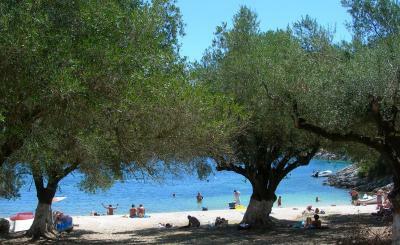 The location is fantastic, a pleasant stroll to beaches and Fiscardo. The breakfast area was very lovely! View was fantastic, peaceful setting,ample parking, room once we moved from downstairs was nice. Air con. 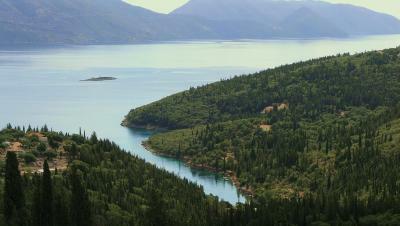 We had a lovely stay and if you are happy with drive into Fiskardo then would not hesitate to recommend. Very nice location, closet To Fiskardo. The room had a balcony that was hard To leave! The staff were just as lovely and welcoming as they could be and I already miss the outstanding breakfast! Would stay there again for sure!! Rooms, beds, space, views, staff, food, pool, cleanliness, location, breakfast, restaurant, bar - all fabulous - helpful, attentive, friendly staff. Location is on a hill (lovely breeze) outside of Skala - perfect to be away from the throng. Great value for money. Outstanding holiday thanks very much. 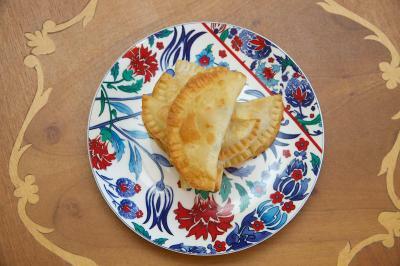 A lovely warm welcome as we arrived with homemade lemonade and pastries. 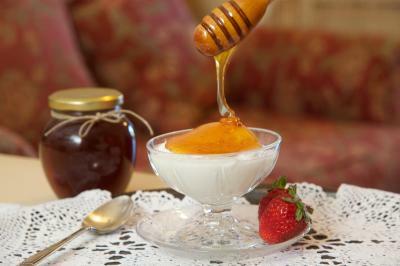 We had not initially booked for breakfast but after we tried it on the first morning we had it every day. Delicious home cooked food in a spotless dining area. Just gorgeous ! Fabulous breakfast . Beautiful room . Delightful and helpful staff. Surrounded by a forest and overlooking the Ionian Sea, Agnantia Hotel Apartments is located in the small picturesque settlement of Tselentata. 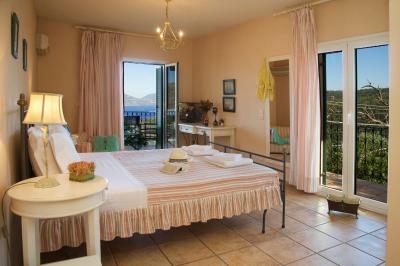 It offers romantically decorated units with free Wi-Fi and a balcony or a stone-paved terrace. The spacious rooms and suites of Agnantia Hotel Apartments are uniquely decorated with wrought-iron beds, stylish furnishings and orthopedic mattresses. Each has a fully equipped kitchenette and a large balcony from where you can enjoy the views to the Ionian Sea, Ithaca island, and the surrounding Cypress Tree forest. Free toiletries are available in the bathroom. 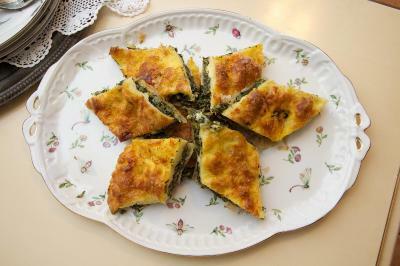 When would you like to stay at Agnantia Bed & Breakfast? 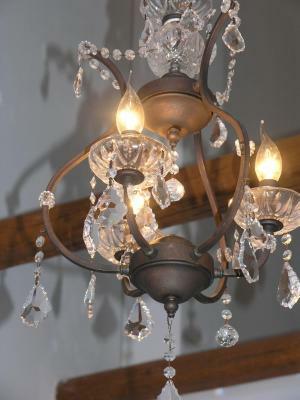 Fitted with wrought--iron beds, stylish furnishings and orthopedic mattresses, this room is located on the first floor and opens to a large balcony. 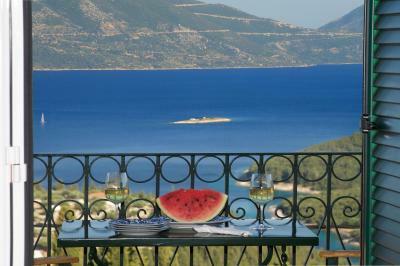 It enjoys views over the Ionian Sea, Ithaca Island, the forest and the village Mparzoukata. This open-plan, high-ceilinged suite includes a four-poster bed and a balcony with view of the Ionian Sea, the forest, the Village of Mparzoukata and Ithaca Island. 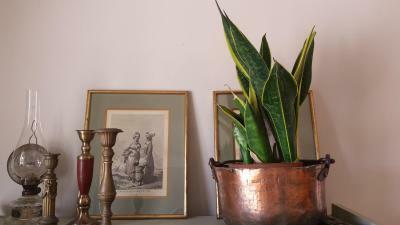 It is decorated in shades of olive or bright apricot. Fitted with beamed ceilings, this four-room suite comes with 2 bedrooms and a seating/dining room. 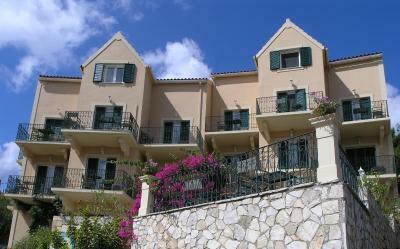 It opens to 2 balconies overlooking the Ionian Sea, Ithaca island, the forest and Mparzoukata village. 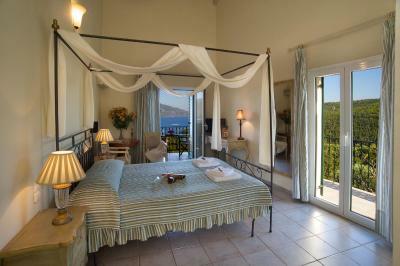 Opening to a stone-paved terrace, this room enjoys views over the Ionian Sea, Ithaca Island and the forest. Fitted with a handmade bed and high, wooden ceiling, this air-conditioned junior suite is split level. 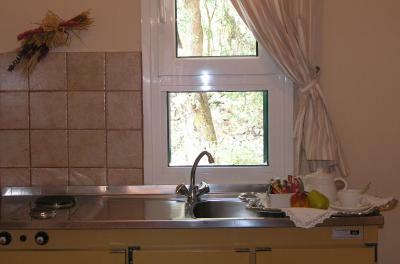 It offers panoramic view of the sea, along with a kitchenette and bathroom with shower. A TV is included. The indoor wooden staircase leads to a stylish and atmospheric bedroom in bright peach, with a traditional handmade bed and desk. On the first level is the second bedroom, offering a panoramic view of the sea, along with a kitchenette and bathroom with shower. 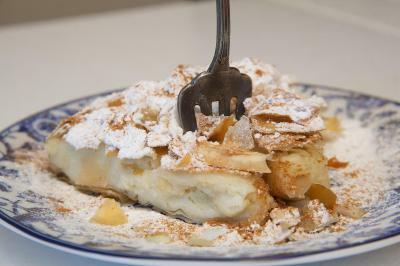 House Rules Agnantia Bed & Breakfast takes special requests – add in the next step! Agnantia Bed &amp; Breakfast accepts these cards and reserves the right to temporarily hold an amount prior to arrival. Agnantia Bed & Breakfast accepts these cards and reserves the right to temporarily hold an amount prior to arrival. Please note that there are no Greek private television channels with national coverage broadcasted on the TVs. Parking was a little tricky but ok once you got used to it. Kitchenette was a little dated and as was originally stated it is 2 single beds together but this is standard around Greece. Location too far out of Fiskardo, really need a car, as taxi service ok to get you in to Fiskardo but unreliable late at night. Breakfasts whilst nice was the same everyday and no alternative egg option apart from cold hard boiled. Showers in rooms could do with being updated and shower curtains just lead to flooded floors. We were invaded by wasps so had to eat breakfast inside everyday and could not see that much effort was made to deter them, unlike some restaurants that we went too. placing the room in the house. My room was in the ground floor, french window leads to breakfast terrace. It means : You can´t open this window in the morning, as well in the evening. Fatal error ! Nothing. 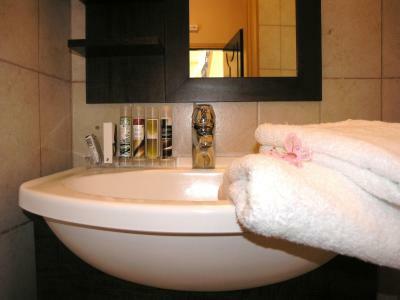 All things considered this is an excellent hotel with outstanding staff and facilities. There wasn't anything I didn't like about my time at Agnantia. Spacious accomodation, lovely views from a large terrace. Extremely comfortable bed. All the staff were helpful and pleasant. 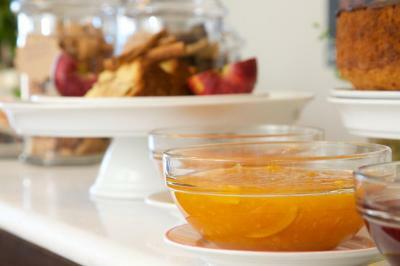 The buffet breakfast was good, the (homemade) marmalade fantastic. Thank you, Marina. We were made to feel so welcome by our hosts from the minute we arrived. It is the perfect place to visit for de-stressing from our busy lives. The stillness, the calm and stunning views have to be experienced. 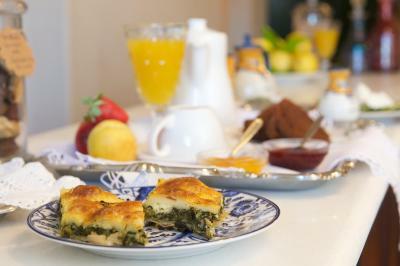 For breakfast, in addition to a wide array of traditional organic, Greek food, the chef prepares delicious pastries every morning. A scenic walk to a picturesque, secluded bay is the perfect way to start your day and begin to experience this uniquely beautiful island. Nothing they could change. 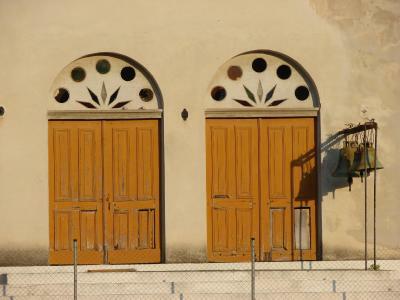 The entrance to the apartments is extremely tight from Fiscado side. VERY hard not to bottom the car when leaving the property due to steepness of road. All staff Maria, Marina and Electra? the girl who organised breakfast could not have been more friendly or accommodating. Excellent daily maid service. Room spotless. Breakfast very good - especially loved the daily home baked pastries which were different each day. Fantastic view. Wonderful peace and quiet.